Oil firms are returning to fields up to 40 years old in the North Sea with expensive 3D seismic surveys and the latest oil recovery technology to extract previously unobtainable extract oil and gas resource. According to the Oil & Gas UK 2013 Activity Survey, overall North Sea oil and gas production has fallen by 30% over the last two years, reflecting the sharp decline in new volumes being brought on-stream. Almost a quarter of the 45 exploration and appraisal wells drilled in 2012 were in areas originally licensed for development between 1964 and 1995. Most drilling took place in the central (59%) and northern (27%) areas of the North Sea. 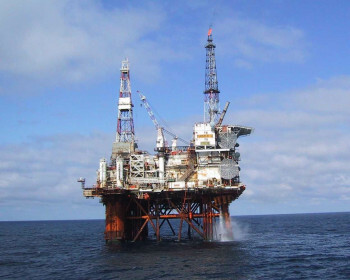 Oil and Gas UK said that companies were revisiting acerage that has already been explored with improved technology and seismic imaging, or that they are realising that the prospects have become commercial due to the proximity of surrounding infrastructure. The rise in revisiting old fields corresponds to a decline in new exploration activity and possible oil and gas resource base, the survey revealed. During the last four years, exploration has averaged 21 wells per year, compared to 33 wells per year between 2005 and 2008. The possible resource base has fallen by 0.4bn boe. The demand for shooting, processing and interpreting seismic data has “strengthened” recently, UK Oil and Gas said, partly driven by a “desire to re-appraise and increase recovery from currently producing fields. There is also a progressive shift towards shooting more seismic using 3D technology which affords geologists better quality information about the subsurface than was previously possible with 2D and Ocean Bottom Seismic. Engineers maximise production from existing wells with techniques such as low salinity water-flood and miscible gas displacement, as well as using techniques such as subsea tiebacks and near-field exploration. The survey also revealed that overall investment in the North Sea is at its highest for over 30 years, with the £11.4bn invested last year expected to rise to £13bn next year. It said 28 wells were approved for development by the Department of Energy and Climate Change last year, almost double the number submitted for development approval in 2011. Overall oil and gas production is expected to fall by 3% this year to 1.45 – 1.5 million boe, before rising to two million boe per day by 2017 thanks to the recent “surge” in investment.